Jessica Simpson was spotted with her husband Eric Johnson, daughter Maxwell and son Ace wearing this Stella McCartney Kids Blue JAY Military Style Vest. 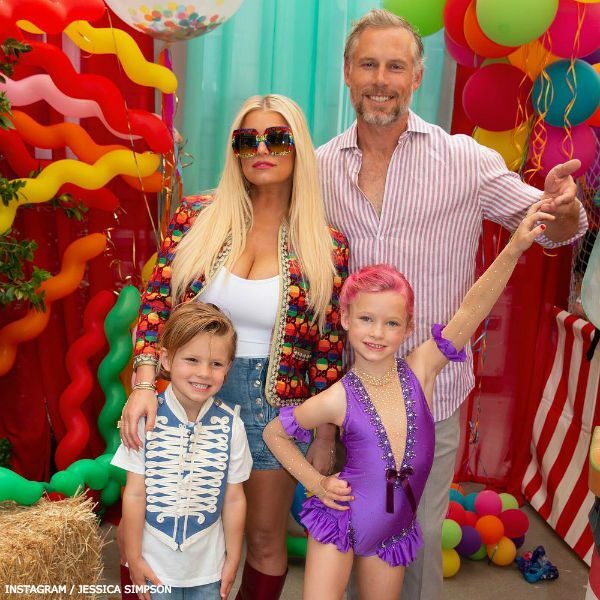 The family was celebrating Maxwell’s 6-year-old birthday with a Circus themed party. 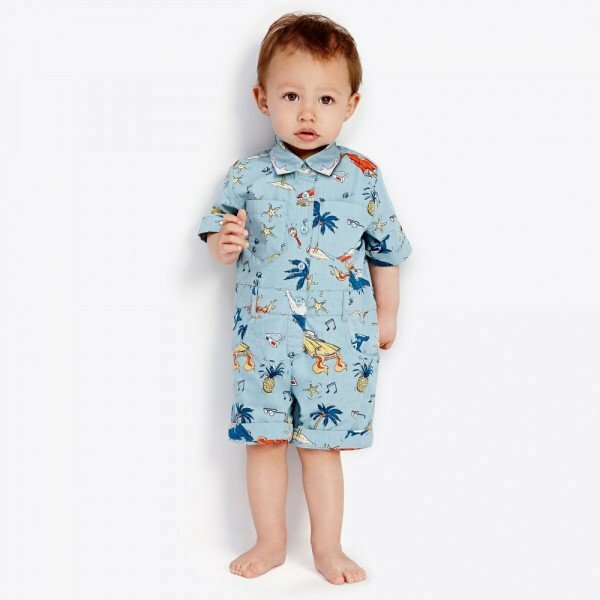 Her little brother Ace looked adorable dressed up in my favorite look from Stella McCartney Kids for Spring / Summer 2018. A super stylish choice for boys and girls, this blue military style jacket has a high collar, ivory lace embroidery, and shield shoulder buttons. It is made in a lined, hard-wearing cotton twill and can be easily machine washed. Best part, it’s now on SALE!